It was the perfect trip…until it wasn’t. Eighteen-year-old Jill Charron wakes up in a hospital room, leg in a cast, stitches in her face and a big blank canvas where the last six weeks should be. She discovers she was involved in a fatal car accident while on a school trip in Italy. A trip she doesn’t even remember taking. She was jetted home by her affluent father in order to receive quality care. Care that includes a lawyer. And a press team. Because maybe the accident…wasn’t an accident. I first came across With Malice by Eileen Cook during the Raincoast Teens Read preview event. Eileen Cook was the guest at this year's event, and spoke generously of her upcoming title and answered some very good questions regarding her characters, inspiration, and writing process. After hearing how passionate she was, I was immediately eager to pick it up at the nearest opportunity. "A flutter of fear ran through my chest." 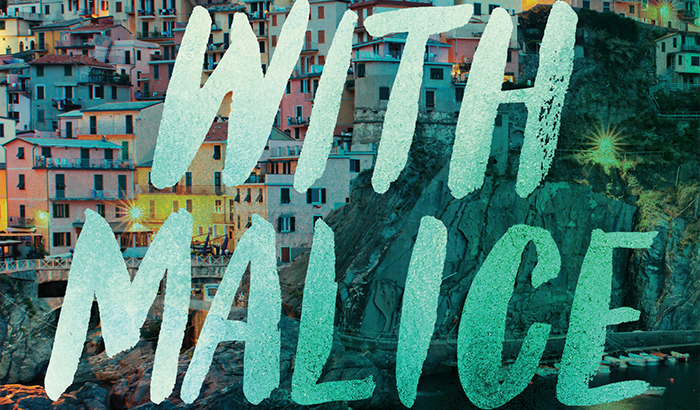 With Malice is part contemporary, part mystery, and part thriller. Walking into With Malice, I didn't expect to become immediately attached to Jill and her unfortunate circumstances. With a lead female protagonist who's completely lost her memory, and having been part of a deadly accident, one can expect to encounter quite the mind-boggling twists, turns, and events. Eileen Cook did not disappoint in that aspect, and I found great joy discovering the pieces to the puzzle that was the events of Italy. In fact, some of my favorite moments in With Malice take place in flashback form (and the media frenzy that takes place throughout the book). Overall, Eileen Cook had me wholeheartedly invested in Jill's journey, and I'm positive other readers will feel the same. "They’d never spoken a word to me, never seen me in the flesh, but based on a few pictures and a story, they’d made me into some kind of monster." Detailed, imaginative, and completely engaging, With Malice by Eileen Cook was positively wonderful! I highly recommend it for teens and adults with a hankering for a good mystery. I'm thrilled to hear you enjoyed With Malice. I'm very interested in picking this up from the library when it becomes available! I typically enjoy some thrillers so I hope this will be exactly what I'm looking for in my next read. This sounds like an absolute thrill ride of a book and I'm super eager to get my hands on it! It sounds like a plot straight from a movie but then again we have many movies like that so for it be in book form with a teenage MC I'm hoping to love it as much as I'm expecting to. Great review! 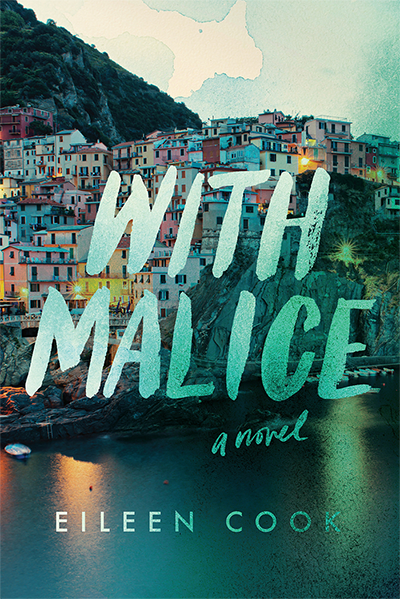 Awesome review and WIth Malice sounds like a book I'd enjoy a lot! Part contemporay, part thriller and part mystery makes me very intrigued and I love ther addition of the flashbacks too! I can't wait to read about Jill's story!